Some of us get mosquito bites that look more like marble-sized welts while others get bites that barely leave a mark. It turns out that our genetics plays a role in those different reactions, according to recent data compiled by 23andMe researchers. When a mosquito bites – it’s only the female that sips our blood – it leaves behind saliva that triggers an immune response in people. For some the bite triggers an immediate reaction, for others it takes a few days, but the results are often the same kind of itching, swelling and redness. 23andMe researchers found an association between an individual’s genetics and the severity of the reaction to the bite. There are a lot of reasons to study our response to mosquito bites. For one, mosquitoes transmit diseases, such as Dengue fever, West Nile Virus and malaria. 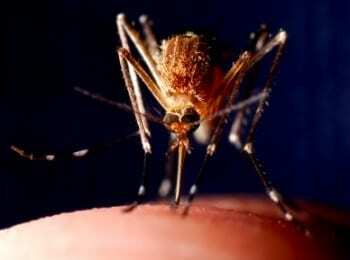 (Malaria is spread by anopheles mosquito, which have largely been eradicated from the United States.) So knowing how people respond to bites as well as why some people may be more susceptible to getting bit, could help in efforts to stop the spread of the disease. But just as 23andMe’s researchers have done in looking at other traits, the different ways people respond to getting bit also gives researchers a better understanding of the genetic differences among people. It can also give us more insight into the biological processes involved in of traits and conditions.